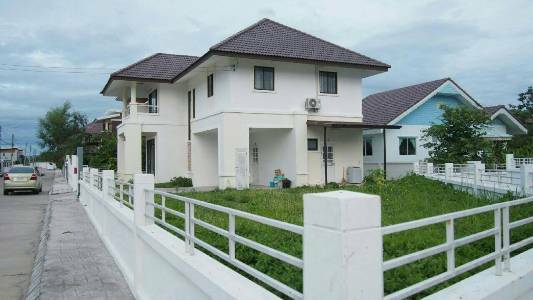 HR2007- House for rent in Chiangmai Thailand. fully furnished. Good location. Many shop & reataurant in this area. Near by Kad Farang, Rimping Supermarket, Premium Outlet Chiangmai, Kad welcome market and many restaurant in Kad Farang. 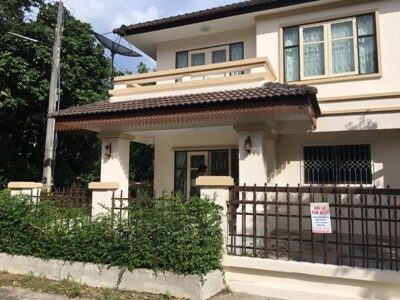 General Features Price for Rent: 35,000 Baht/month, 3 Beds, 3 Baths ,1 Living rooms, 1 Western Kitchen ,Air- condition ,Hot-Water ,TV Refrigerator or fridge freezer. There are numerous amenities & facilities in this village including , CCTV, Garden, Parking, Club house, Swimming pool, Fitness, Sauna and Security. 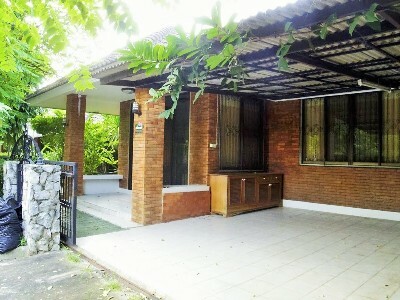 HR2010- House for rent in Chiangmai Thailand. House for rent located in Hang Dong district, Chiangmai province. Double storey house 190 sq.wa., using area 245 sq.m. Fully furnished. 3 beds 4 baths with wester kitchen and 1 small house. with 1 bedroom 1 bathrooms. A short drive in any direction will bring you to the restaurants and shopping areas. 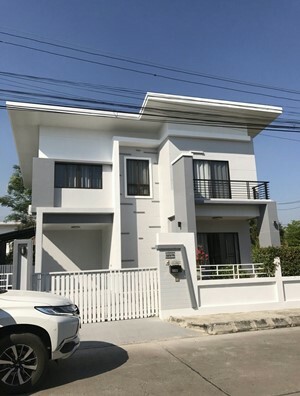 HR2018- House for rent in Chiangmai Thailand. This house is fully furnished and fully air conditioned. 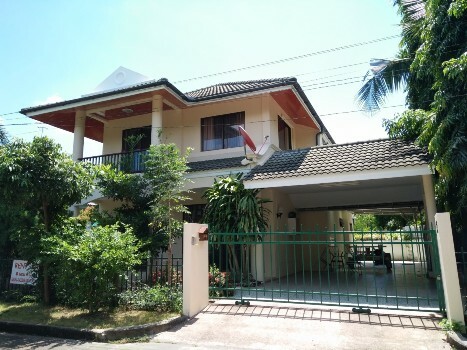 This house is a real bargain and is perfect for a small family looking for something simple and comfortable.,Located in San Pak Waan, Hang Dong, Chiangmai, near to junction with Highways 108 and Middle Ring Road 3029. 15 minutes drive to central Chiang Mai and 10 minutes from the international airport. And easy reach of main supermarkets Big C,Tesco Lotus & Makro. General Features 2 Beds, 2 Baths, 1 Living room, 1 Kitchen, Air -condition, Hot-Wate,r TV, Refrigerator or fridge freezer. Secure Parking, Fully furnished. 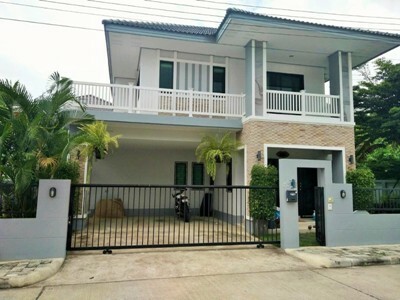 HR2019- House for rent in Chiangmai Thailand. 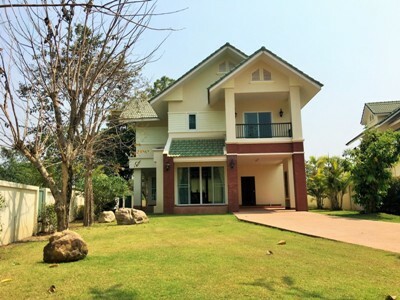 A fantastic home for rent, premium living in a prime location in Hang Dong, Chiang Mai. This house has two storey Fully furnished ready to move in. Close to numerous international schools such as Lanna International School, Satit Bilingual School of Rangsit University, Grace and APIS. Near Kad Farang Shopping Plaza / Sports Equipment and Sports Wear, Rim Ping Supermarket, many shops and restaurants at Kad Farang. General Features Lot Size : 156 Sq.wa. Price for Sale : 258 Sq.m. 5 Beds, 4 Baths, 1 Living room,, 1 Kitchen, Air- condition, Hot-Water, TV, Refrigerator or fridge freezer. ,Fully furnished, Kitchen, equipment, Entertaining . HR2037- House for rent in Chiangmai Thailand. 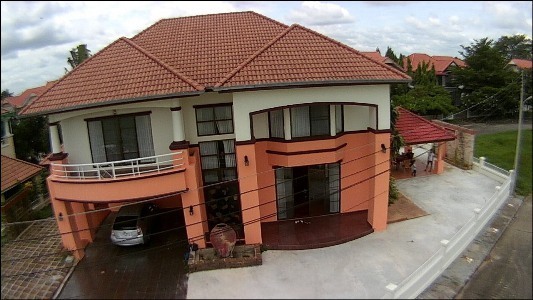 House for rent in near Kad Farang, Chiangmai, Thailand. 3 beds, 3 baths, 1 western kitchen, fully furnish. 5 minute walk to North Star golf club, Near Grace international school, Lanna International school, Premium Outlet, Rimping, Mackro, Big C and Kad Farang. 10 minutes to airport. Facilities: Garden, Private Swimming Pools, Club House, Gym, Sauna, Security, Children s Play. HR2043- House for rent in Chiangmai Thailand. 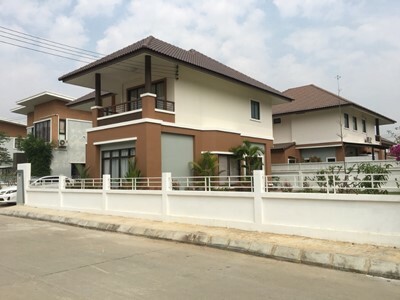 This beautiful 3 bedrooms home in Hang Dong is offered for rent and features a nicely sized garden for your enjoyment. This home features high quality furniture for when only the best will do, giving this home a nice homely feel. Lanna pinery home is situated in Hang Dong and offers easy access to shopping with Big C and Makro stores just 5 minutes away. Access to town is easy and simple, just head up the Hang Dong road and you can be in town in 10 minutes. General Features Lot Size: 70 Sq.wa. Using area: 180 Sq.m. Price for Rent: 23,000 Baht/Month 3 Beds, 3 Baths, 1 Living room ,1 Kitchen, 5 Air condition, 1 Bathtub ,1 TV Hot-Water ,Refrigerator or fridge freezer. 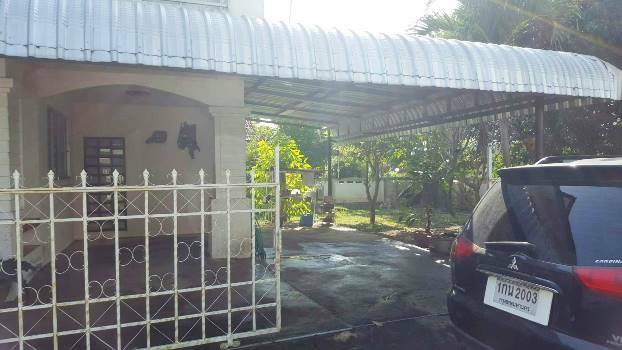 HR2053- House for rent in Chiangmai Thailand. Modern style house located within the project village. 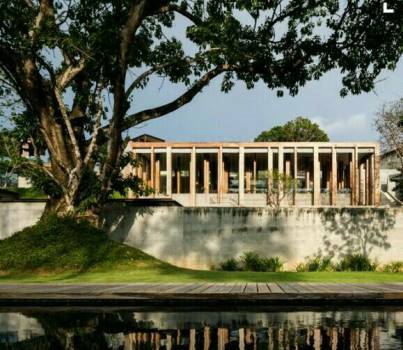 The project is located in the Hang Dong area to the south of Chiang Mai, just 8 km from the historic city centre. Chiang Mai International Airport is closer still - just 7km from here. There are many more amenities which are even more local to the project. The Chiang Mai Central Airport Shopping Mall is located just 7km, with Tesco Lotus, Big C and Makro hypermarkets all located within 5km of the site. There are several good international schools just a short drive away, plus two major hospitals. Golf enthusiasts have a choice of two excellent courses to choose from just a few minutes drive from here as well. 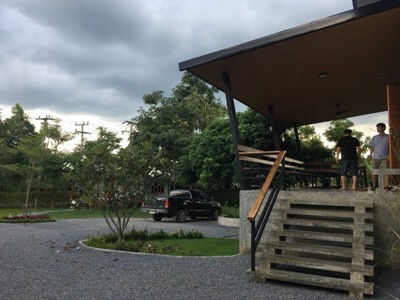 All of the village in the project are surrounded by greenery, with a green park area within the site itself, which also contains a children s playground and the Village Office. The project is a fully-gated community, offering security through CCTV coverage throughout the site, a keycard system, plus guards on duty 24 hours. 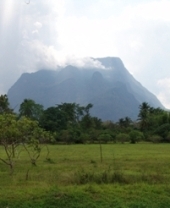 General Features Lot Size : 91 Sq.wa. Using area : 200 Sq.m. 3 Beds, 3 Baths 1 Living room, 1 Western Kitchen, Air- condition, Hot-Water, TV, Refrigerator or fridge freezer. Secure Parking , Fully furnished. Facilities: Green Park, Village Office, Security Guard 24 hours, Key Card System, CCTV camera, Children s Play ground. HR2063- House for rent in Chiangmai Thailand. 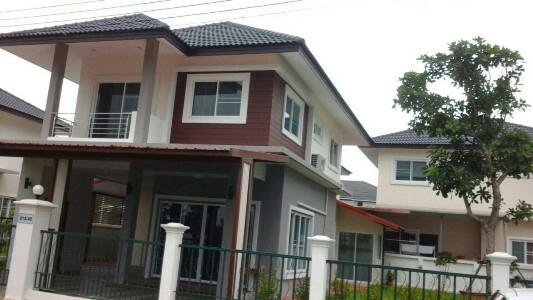 3 houses with 4 beds For Rent in HangDong, Chiangmai, Thailand. Resort house for rent 4 bedrooms, fully furnished, ready to move in. Living area 300 sq.m. Land 1,600 sq.m. Easy access to many cities. Nearby Kad Farang, Rimping supermarket, Wine Connection and McDonald s. Located at HangDong, Chiang Mai. Drive only 15-20 minutes to Chiangmai International Airport. General Features Land size: 1,600 Sq.m. House size: 300 Sq.m. Price for Rent: 35,000 THB/Month, 4 Beds, 4 Baths Living room & Dinning Area Kitchen, TV ,Air- condition, Hot-Water, Refrigerator or fridge freezer. Secure Parking ,Fully furnished. HR2064- House for rent in Chiangmai Thailand. 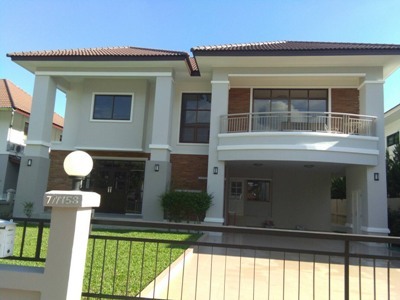 Double Storey house for rent Fully furnished. (a good project). 5 minute walk to North Star golf club. Near Grace international school, Lanna International school and Kad Farang. offers a communal swimming pool, and 24-hour security. 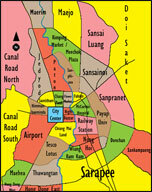 The location offers easy access to public transportation to Chiangmai city or Hang Dong, Sanpatong, Chomtong district. Supermarkets, restaurants, dining and the bus station to the airport are all within walking distance. General Features Lot Size: 115 Sq.wa. Using Area: 400 Sq.m. Price for Rent: 40,000 Bath/Month 4 Beds, 4 Baths, 1 Living room & Dinning Area ,2 Kitchen, 5 Air- condition, 5 Secure Parking ,TV ,Hot-Water ,Refrigerator or fridge freezer. , Fully furnished. 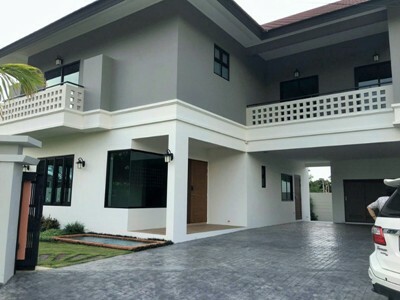 Brand new house for Rent inside North hill Golf Club, Chiangmai, Thailand. house with 2 Swiming pool, Golf Course, Fitness, 24 security full system., Fully Furnished, A/C 3 with Garden. It takes approximately 20 minutes driving to Chiangmai International Airport and Chiangmai City. Near Lanna International school, Grace international school, Kad Farang. General Features Price for rent : 23,000 THB/Month, 4 Beds, 3 Baths, 1 Living room 1 Kitchen, 3 Air -condition, Hot-Water, TV Refrigerator or fridge freezer. Secure Parking , Fully furnished. Facilities: Swimming Pools, Club House, Gym, Security, Childrens Play. It takes approximately 30 minutes driving to Chiangmai International Airport and Chiangmai City. Nearby North- Chiangmai University . 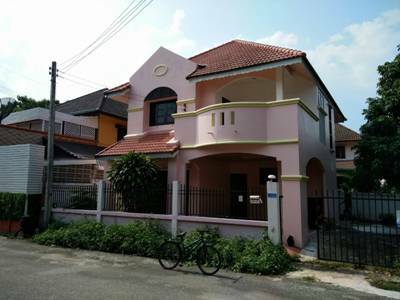 2 storey modern loft style 3 b + multipurpose 1 kitchen open plan living + work + family room.,100 Sq.wa., 250 Sq.m. 15-25 minute to Chiangmai City & Chiangmai International airport.